Chittorgarh or Chittor was the capital of the Sisodia clans of Rajput and of Mewar. A fiercely independent, the fort was under siege thrice and each time they fought bravely & thrice jauhar was committed by the ladies and children. The first attack was by Alauddin Khilji in 1303 AD, who was enamoured by the beauty of Padmini of which he had only heard. Rani Padmini preferred death to abduction and dishonour and committed jauhar along with the other ladies. The second attack was in 1535 by Sultan Bahadur Shah of Gujarat on Bikramjeet. Before Humayun's troupe could come & defeat the Shah, Rani Karmavathi committed jauhar along with the other women and the Rajmata had died in the battlefield. The third instance was in 1567 when Akbar attacked during the time of Maharana Udai Singh. This final attack was complete when the army looted and destroyed all the buildings. The Mewars were forced to shift their capital to Udaipur. 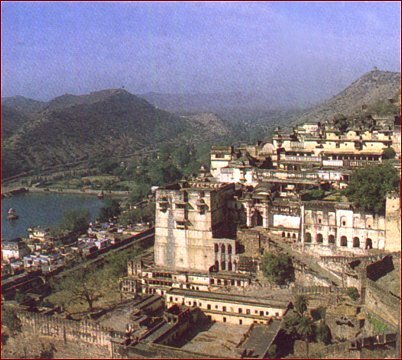 Chittor stands for the heroism, chivalry, valour and sacrifice, all inbuilt characteristics of Rajputs. The Chittor fort seated on a 180 metre hill, covers an expanse of 700 acres. It was constructed by the Mauryans in the 7th century AD. There is also a belief that it was constructed by Bhima of the Pancha Pandavas. 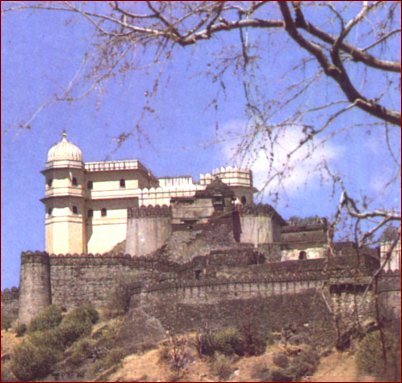 This fort was the citadel of many great Rajput warriors such as Rana Kumbha, Maharana Pratap, Jaimal, Patta, etc. There are seven gates before reaching the fort. They are the Padan Pol, Bhairon Pol, Hanuman Pol, Ganesh Pol, Jodla Pol, Laxman Pol and Ram Pol. Padal Pol is a gate where prince Bagh Singh died during the second attack. The Chattris of the young prince Jaimal of Badnore and his clansman Kalla are located between the Bhairon Pol and Hanuman Pol, marking the spots where they were killed by Akbar in 1567. Near the Ram Pol which is the final gate, is the Chattri of 15 year old Patta of Kelwa who fought bravely to the end. 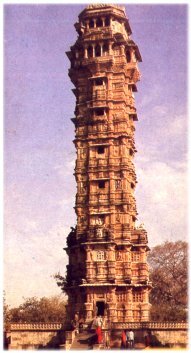 Vijay Stambh is a huge nine storey tower which was built by Maharana Kumbha to commemorate his victory over the Muslim rulers of Malwa and Gujarat in 1440. The tower is 122 ft high and stands on a 10 ft high base. 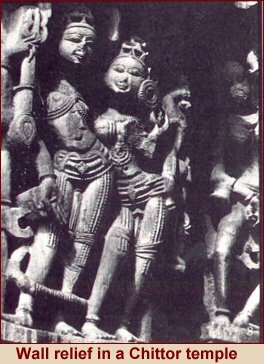 There are sculptures and carvings on the exterior walls of the tower. The tower is visible from any section of the town below. And from the tower top after climbing 157 steps, there is a great view of the surroundings. The inside walls of the tower are carved with images of Gods, weapons, etc. 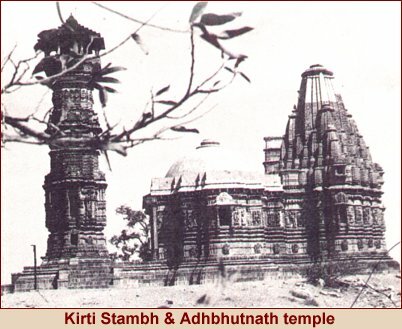 Kirti Stambh is dedicated to Adinathji, the first of the Jain Thirthakaras. 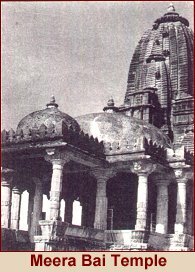 It was built by a merchant and is decorated with figures form the Jain pantheon. is near the Vijay Stambh. 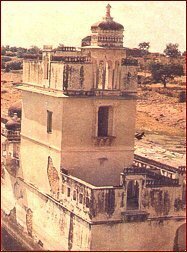 This is the birthplace of Maharana Udai Singh the founder of Udaipur. His life was saved by the heroic act of the maid Panna Dhay, who replaced her son in place of the prince & consequently her son was killed by Banbir. She carried the prince away to safety in a fruit basket. Rani Meera Bai also lived in this palace. This is the place where Rani Padmini committed jauhar with the other ladies in one of the underground cellars. 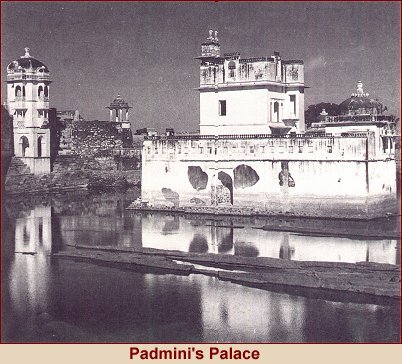 This is the palace from which Alauddin was allowed to watch a reflection of the Rani. There is a temple for Meera Bai, the wife of Bhojraj, who was known for her great devotion to Lord Krishna & also for her great bhajans. This temple was originally built in the 8th century for Sun God and was later converted to a temple for mother Goddess, Kali in the 14th century. The Government Museum is located at the Fateh Prakash Palace and displays a collection of sculptures and other artefacts. Other places of interest are the Pratap and Nehru Parks.